Heat the broiler (with the oven rack 4 inches from the top). 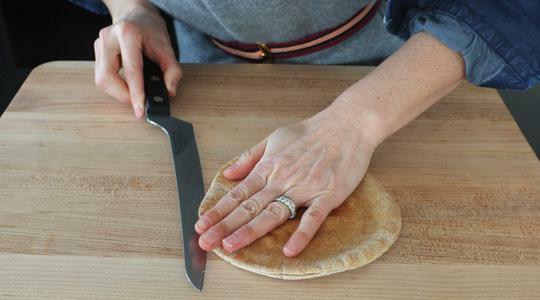 To cut the pitas in half, lay them flat on your cutting board. 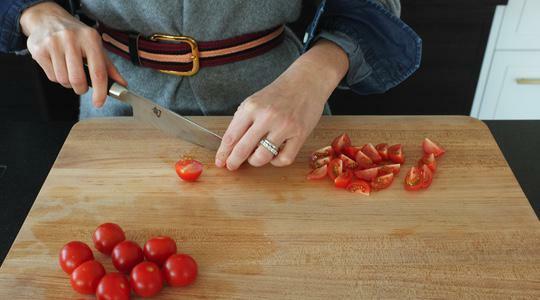 Use a serrated knife (or you can use scissors) to cut around the edges then peel apart. Lay them cut-side up on a sheet pan. 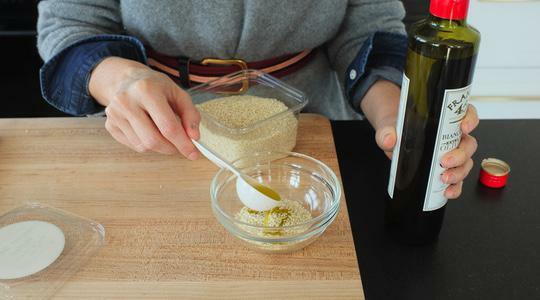 In a small bowl, combine the sesame seeds, oil, and a pinch of salt. 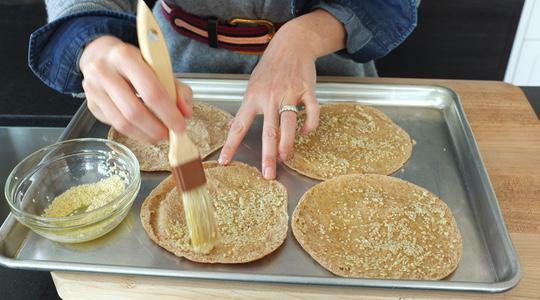 Dividing evenly, use a pastry brush or spoon to spread the sesame/oil mixture over the pitas. Set aside. Cut the tomatoes into quarters. 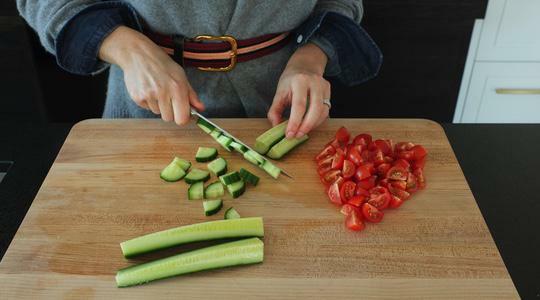 Quarter the cucumber lengthwise then cut it crosswise into small pieces. Wash the mint and pat dry with paper towels. 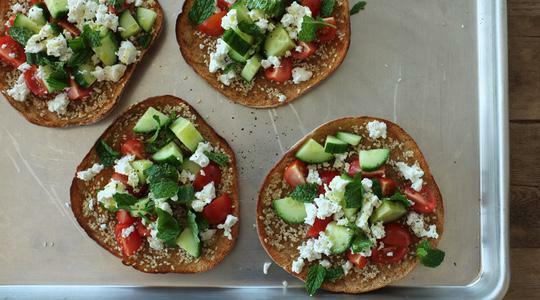 Now, slide the pitas under the broiler and broil until browned around the edges but still pliable in the middle so you can fold it over when you eat it, 1 to 2 minutes. 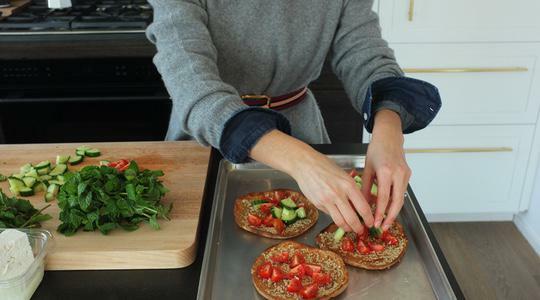 Dividing evenly, fill each pita with the tomatoes, cucumber, and mint (tear the leaves if they are big). Crumble the feta over the tops of each. Drizzle with a little more oil and give each a turn or two of pepper.